Are you a country-pop lover looking to up your playlist? consider adding songs by the beautiful country singer, Jessie James Decker… You’re welcome! The Italian born American musician had to go through a series of different audition rejections until her life-changing opportunity came through Carla Wallace. Jessie with a few extended plays and a couple of studio album have already left an indelible mark in the music industry. 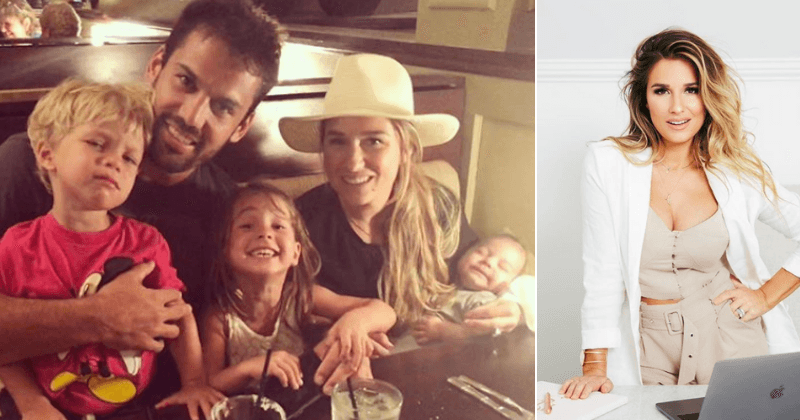 The beautiful singer is the wife of Eric Decker, a former NFL player Learn more about Decker’s career, love and family life. Jessie James Decker was born Jessica Rose James in Vicenza, Italy on April 12, 1988. She began singing at the tender age of 2 that at the age of nine, she had won her first talent contest in Baker, Louisiana with the song I Want to Be a Cowboy’s Sweetheart. Jessie spent her childhood living in different cities as a result of her father’s military profession. Before Jessie turned 15, she had attended a series of auditions but was rejected by most record labels in her neighborhood of Nashville, Tennessee. Jessie met with Carla Wallace of Big Yellow Music who helped her to spot her failures and worked on them to up her chances at stardom. Then, a song of hers attracted the attention of Mercury Records which gave her a recording contract, under which she released her debut self-titled album Jessie James in August 2009. The album was received with mixed reactions but debuted at number 23 on the Billboard 200. Her second album Sweet American Dreams dropped a year after the first album in 2010 but however, none of her singles made it to the Billboard charts. When it was obvious that Jessie needed a change in her music genre, after a prolonged negotiation, she was launched into the Country music genre. The singer began to record songs in April 2011 and had singles like When You Say My Name and Military Man released on January 31, 2012, and May 22, 2012, respectively. Jessica James Decker released her extended Play (EP) Comin’ Home on April 18, 2014. The EP became a hit occupying the number 1 spot on the iTunes top albums chart and it later debuted in the top 5 on Billboard’s top country albums chart. Additionally, she featured in Austin John’s track Howlin from his solo EP Love Sick Radio released on April 22, 2016. After she brought to an end her Lights Down Low tour, she released a 5 track EP titled Gold under her new label, Epic on February 17, 2017. This was followed by a surprise live EP titled Blackbird Sessions released on June 9, 2017, under Epic records. Her second and third full-length country albums Southern Girl City Lights and On This Holiday were released on October 13, 2017, and on October 2, 2018, respectively. Jessie James Decker has a large following on Instagram – over 3 million. The songstress continues to work on her music career. See Also: Carrie Underwood Husband, Body, Age, Height, Son, Is She Divorced? Jessie was born into a family with a military background. At the time of her birth, her father Steve Parker was an officer in the U.S Air Force which made him move around and subsequently made Jessie lived in different cities like Iowa, Kentucky, Texas, and Louisiana. Jessie grew up with her two younger siblings, a sister named Sydney Rae Bass born on 27th April 1991 and a brother named John James who was born in 1994. Sydney Rae Bass is a television personality who also starred together Jessie in their reality TV show titled Eric and Jessie: Game On in which Jessie’s husband also made appearances. The 5 ft tall Jessie James Decker is married to Eric Decker, a famous ex-footballer of the National Football League (NFL). They legally sealed their union on June 22, 2013, in Colorado. They both have three kids together namely; Vivianne Rose Decker, a daughter who was born on March 18, 2014, followed by a son Eric Thomas Decker II born on September 3, 2015, while the third child and second son Forrest Bradley Decker was born on March 31, 2018. Jessie James Decker’s husband was born in Cold Spring, Minnesota on August 15, 1987. He is a graduate of the University of Minnesota where he excelled in playing both baseball and football. He is famed for his eight years NFL Career playing for franchises such as Denver Broncos, New York Jets, Tennessee Titan and the New England Patriots where he ended his career in 2018. The couple is actually having the best time of their lives. They even starred together in the reality show Eric & Jessie: Game On which aired from 2013 to 2017.